Warranty ends 12 months from Install-by date, or 24 months from MFG Date. Print just what you envision.Then print it again confident you will get the same color, the same quality and long-lasting prints. 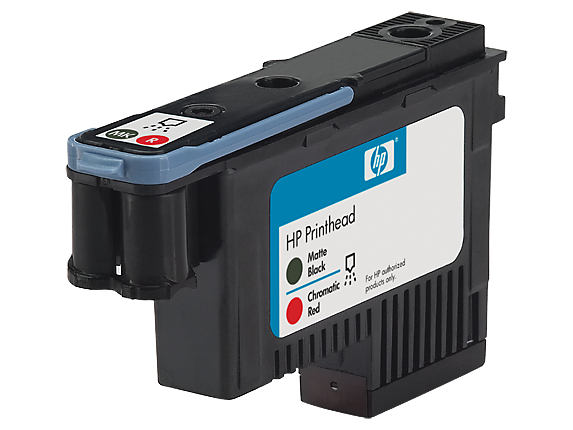 It's no problem with HP printing supplies and HP Vivera pigment inks.Avoid the waste and rework and save time and money. Warranty ends 6 months from Install-by Date or 30 months from MFG Date. Ink Cartridge expires at 42 months. 1 Program features and availability may vary by country. For more information, visit http://www.hp.com/go/designjet/supplies. 2 Image permanence estimates by HP Image Permanence Lab based on testing on a range of HP creative and specialty papers: confirmation tests in progress at Wilhelm Imaging Research, Inc. For details, see http://www.globalbmg.com/hp/printpermanence. 3 Program availability varies. HP printing supplies return and recycling is currently available in more than 47 countries, territories, and regions in Asia, Europe, and North and South America through the HP Planet Partners program.